This paper presents the design and construction of a 12-DoF biped walking robot. The kinematics of electrically actuated 6-DoF legs is similar to that of human legs with three DoF at the hip, one at the knee and two at the ankle joints. The mechanical design of the robot was based on dynamical simulations realized in a modular PC environment. Two communicating software were used in order to solve the forward dynamics of the system and to design walking controllers. Forward, backward and lateral walking as well as stair climbing behaviors with up to 6 km/h forward walking speeds have been simulated in order to determine the nominal power rates required at joints. Hip joints are actuated by DC motors coupled to harmonic reducers situated both in joint axes. The actuators driving the knee and ankle joints are situated higher than the respective joint axes and the rotational output motion of DC motors are transmitted to the joints through linear ball-screw mechanisms. Spherical joints are used within the transmission of spatial motion required for the 2-DoF at ankle joints. All joints consist of absolute encoders and 6-axes force/torque transducers are mounted at the ankle joints. The robot is controlled through an embedded industrial PC running real-time operating system. All electronic control hardware including the motor drivers and sensors communicate through CAN bus. The robot’s mass without batteries is 55 kg and its height is 142 cm. Hirai, K., “Current and Future Perspective of Honda Humanoid Robot”, Proceedings of the IEEE/RSJ International Conference on Intelligent Robots, Grenoble, France, 2: 500–508, (1997). Hirai, K., Hirose, M., Haikawa, Y., Takenaka, T., “The Development of Honda Humanoid Robot”, Proceedings of the IEEE International Conference on Robotics and Automation, Leuven, Belgium, 2: 1321–1326, (1998). Sakagami, Y., Watanabe, R., Aoyama, C., Matsunaga, S., Higaki, N., Fujimura, K., “The intelligent ASIMO: System overwiew and integration”, Proceedings of the IEEE/RSJ International Conference on Intelligent Robots, Lausanne, Switzerland, 3: 2478–2483, (2002). Inoue, H., Tachi, S., Nakamura, Y., Hiari, K., “Overview of Humanoid Robotics Project of METI”, Proceedings of the International Symposium on Robotics, Seoul, Korea, 1478–1482, (2001). Kaneko, K., Kanehiro, F., Kajita, S., Yokoyama, K., Akachi, K., Kawasaki, T., Ota, S., Isozumi, T., “Design of Prototype Humanoid Robotics Platform for HRP”, Proceedings of the IEEE/RSJ International Conference on Intelligent Robots, Lausanne, Switzerland, 3: 2431–2436, (2002). Hirukawa, H., Kanehiro, F., Kaneko, K., Kajita, S., “Humanoid Robotics Platforms Developed in HRP”, Robotics and Autonomous Systems, 48(4): 165–175, (2004). Akachi, K., Kaneko, K., Kanehira, N., Ota, S., Miyamori, G., Hirata, M., Kajita, S., Kanehiro, F., “Development of Humanoid Robot HRP-3P”, Proceedings of the IEEE RAS International Conference on Humanoid Robots, Tsukuba, Japan, 50–55, (2005). Takanishi, A., Ishida, M., Yamazaki, Y., Kato, I., “The realization of dynamic walking by the biped walking robot WL-10RD”, Proceedings of the International Conference on Advanced Robotics, 459–466, (1985). Lim, H., Takanishi, A., “Biped walking robots created at Waseda University: WL and WABIAN family”, Phil. Transactions of the Royal Society A, 365: 49–64, (2007). Park, I.W., Kim, J.Y., Lee, J., Oh, J.H., “Mechanical design of humanoid robot platform KHR-3”, Proceedings of the IEEE RAS International Conference on Humanoid Robots, Tsukuba, Japan, 321–326, (2005). Pfeiffer, F., Löffler, K., Gienger, M., “The Concept of Jogging JOHNNIE”, Proceedings of the IEEE International Conference on Robotics and Automation, Washington D.C., USA, 3129–3135, (2002). Löffler, K., Gienger, M., Pfeiffer, F., “Sensor and Control Design of a Dynamically Stable Biped Robot”, Proceedings of the IEEE International Conference on Robotics and Automation, Taipei, Taiwan, 1: 484–490, (2003). Lohmeiner, S., Löffler, K., Gieber, M., Ulbrich, H., “Computer System and Control of Biped Johnnie”, Proceedings of the IEEE International Conference on Robotics and Automation, New Orleans, USA, 4: 4222–4227, (2004). Lohmeier, S., Buschmann, T., Ulbrich, H., Pfeiffer, F., “Modular Joint for Performance Enhanced Humanoid Robot Lola”, Proceedings of the IEEE International Conference on Robotics and Automation, Orlando, USA, 88–93, (2006). http://www.pal-robotics.com/ (2012), Pal Robotics Website. Accessed February 2012. Erbatur, K., Seven, U., Taskiran, E., Koca, O., Yilmaz, M., Unel, M., Kiziltas, G., Sabanovic, A., Onat A., “SURALP: a new full-body humanoid robot platform”, Proceedings of the IEEE/RSJ International Conference on Intelligent Robots, Saint Louis, USA, 4949–4954, (2009). Raibert, M.H., Legged Robots That Balance, MIT Press, Cambridge, (1986). Wisse, M., Schwab, A., “First steps in passive dynamic walking”, Proceedings of the Climbing and Walking Robots, London, UK, VII, 745–756, (2005). Espiau, B., Sardain, P., “The anthropomorphic biped robot BIP2000”, Proceedings of the IEEE International Conference on Robotics and Automation, San Francisco, USA, 4: 3996–4001, (2000). Konno, A., Sellaouti, R., Ben Amar, F., Ben Ouezdou, F., “Design and Development of the Biped Prototype ROBIAN”, Proceedings of the IEEE International Conference on Robotics and Automation, Washington D.C., USA, 1384–1389, (2002). http://www.bostondynamics.com/ (2012), Boston Dynamics Corp. Website. Accessed February 2012. Chevallereau, C., Bessonet, G., Abba, G., Aoustin, Y., “Bipedal Robots: Modeling, Design and Walking Synthesis”, Wiley-ISTE, (2008). Gubina, F., Hamami, H., McGhee, R.B., “On the Dynamic Stability of Biped Locomotion”, IEEE Transactions on Biomedical Engineering, (21)2: 102–108, (1974). McGhee, R.B., “Principles of Walking and Running”, in Advances in Comparative and Environmental Physiology, 11, Springer-Verlag, Berlin, (1992). Vukobratovic, M., Borovac, B., Surla, D., Stokic, D., “Biped Locomotion”, Springer-Verlag, Berlin, (1990). Potkonjak, V., Vukobratovic, M., Babkovic, K., Borovac, B., “Human and Humanoid Dynamics”, Journal of Intelligent and Robotic Systems, 41: 65–84, (2004). Vukobratovic, M., Potkonjak, V., Tzafestas, S., “General Model of Dynamics of Human and Humanoid Motion: Feasibility, Potentials and Verification”, International Journal of Humanoid Robotics, 3(1): 21–47, (2006). Takanishi, A., Hun-ok, L., Tsuda, M., Kato, I., “Realization of Dynamic Biped Walking Stabilized By Trunk Motion on a Sagittally Uneven Surface”, Proceedings of the IEEE International Workshop on Intelligent Robots and Systems, 1: 323–330, (1990). Yamaguchi, I., Takanishi, A., Kato, I., “Development of a Biped Walking Robot Compensation for Three-Axis Moment by Trunk Motion”, Proceedings of the IEEE/RSJ International Conference on Intelligent Robots, Tokyo, Japan, 192–200, (1993). Shih, C.L., Li, Y.Z., Churng, S., Lee, T.T., Gruver, W.A., “Trajectory Synthesis And Physical Admissibility For A Biped Robot During The Single-Support Phase”, Proceedings of the IEEE International Conference on Robotics and Automation, Cincinnati, USA, 3: 1646–1652, (1990). Shih, C.L., Gruver, W.A., “Control of a Biped Robot in the Double-Support Phase”, IEEE Transactions on Systems Man and Cybernetics, 22: 729–735, (1992). Shih, C.L., Gruver, W.A., Lee, T.T., “Inverse Kinematics and Inverse Dynamics for Control of Biped Walking Machine”, Journal of Robotic Systems, 10(4): 531–555, (1993). Shih, C.L., “The dynamics and control of a biped walking robot with seven degrees of freedom”, ASME Journal of Dynamical Systems Measurement and Control, 118: 683–690, (1996). Kajita, S., Yamaura, T., Kobayashi, A., “Dynamic Walking Control Of A Biped Robot Along A Potential Energy Conserving Orbit”, IEEE Transactions on Robotics and Automation, 8(4): 431–438, (1992). Kajita, S., Kanehiro, F., Kaneko, K., Fujiwara, K., Yokoi, K., Hirukawa, H., “Biped walking pattern generation by a simple three-dimensional inverted pendulum model”, Advanced Robotics, 17(2): 131–147, (2003). Kajita, S., Kanehiro, F., Kaneko, K., Fujiwara, K., Harada, K., Yokoi, K., Hirukawa, H., “Biped Walking Pattern Generation by using Preview Control of Zero-Moment Point”, Proceedings of the IEEE International Conference on Robotics and Automation, Taipei, Taiwan, 2: 1620–1626, (2003). Park, J.H., Kim, K.D., “Biped Robot Walking using Gravity-Compensated Inverted Pendulum Mode and Computed Torque Control”, Proceedings of the IEEE International Conference on Robotics and Automation, Leuven, Belgium, 3528–3533, (1998). Park, J.H., Youm, Y., “General ZMP Preview Control for Bipedal Walking”, Proceedings of the IEEE International Conference on Robotics and Automation, Roma, Italy, 2682–2687, (2007). Choi, Y., You, Y.J., Oh, S.R., “On the Stability of Indirect ZMP Controller for Biped Robot Systems”, Proceedings of the IEEE/RSJ International Conference on Intelligent Robots, Sendai, Japan, 2: 1966–1971, (2004). Choi, Y., Kim, D., You, Y.J., “On the Walking Control for Humanoid Robot based on Kinematic Resolution of CoM Jacobian with Embedded Motion”, Proceedings of the IEEE International Conference on Robotics and Automation, Orlando, USA, 2655–2660, (2006). Choi, Y., Kim, D., Oh, Y., You, Y.J., “Posture/Walking Control for Humanoid Robot Based on Kinematic Resolution of CoM Jacobian With Embedded Motion”, IEEE Transactions on Robotics and Automation, 23(6): 1285–1293, (2007). Acar, M., Gercek, A., Tasasiz, B., Bayraktaroglu, Z.Y., Kocabas, H., “Design of a 12-DoF Biped Robot”, Proceedings of the International Conference on Recent Achievements in Mechatronics, Automation, Computer Science and Robotics, Tirgu-Mures, Romania, 215–226, (2010). Luh, J.Y.S., Walker, M.W., Paul, R.P.C., “On-line Computational Scheme for Mechanical Manipulators”, ASME Journal of Dynamical Systems Measurement and Control, 102(2): 69–76, (1980). ISNAD BAYRAKTAROĞLU, Zeki Yağız , ACAR, Mesut , GERÇEK, Alper , TAN, Numan Mert . "Design and Development of the I.T.U. Biped Robot". 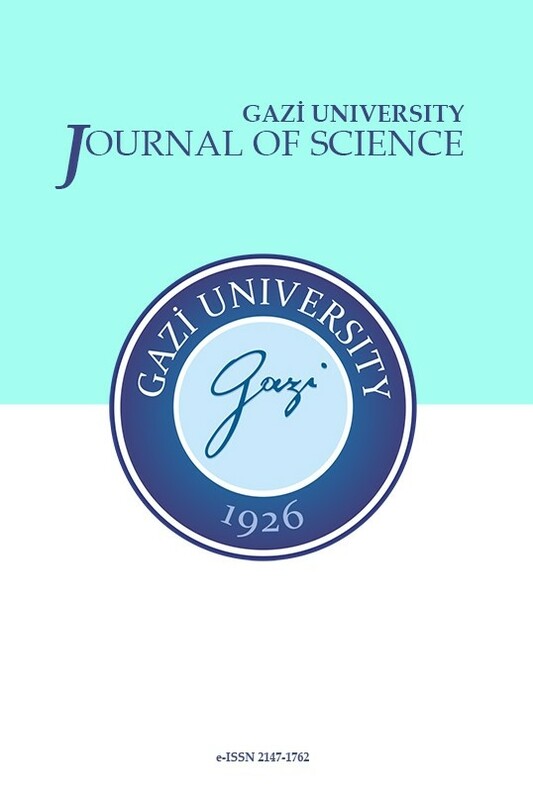 GAZI UNIVERSITY JOURNAL OF SCIENCE 31 / 1 (March 2018): 251-271.